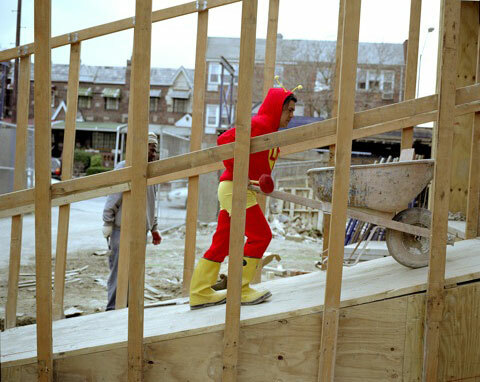 Via Exodus, I found the photography of Dulce Pinzon, and her “Real Life of Superheros” photography collection. The exhibit showing Latin American immigrants in their everyday lives in jobs that are often overlooked… with a twist that highlights their important work and contributions. Dear Dissertation: I promise I am getting back to it after this quick lunch break. What 15 books will stay with you forever? Here are the rules: Don’t take too long to think about it. Fifteen books you’ve read that will always stick with you. They don’t have to be the greatest books you’ve ever read, just the ones that stick with you. First fifteen you can recall in no more than 15 minutes. Copy these instructions and tag 15 ( or more) friends, including me – because I’m interested in seeing what books are in your head. While waiting for files to copy. TO DO, before August 1st. — Apply 4 years of ethnographic research to roughly 60-80 pages of unwritten manuscript, comparing to (approximately) last 50 years of research on relevant topics. — Hire desperate computer-savvy person to enter several hundred sources into new software and tie them into ongoing drafts. — Hire or beg help to improve terrible translations… currently over 20 pages of them. — Wean Kate from the pacifier before she gets herself into (more) trouble. — Get glitter for the coming tooth fairy return. — Finish one major grant submission. — Be okay with putting all other work tasks on hold… cancel meetings, apologize, explain, and try to delegate. — Have a least one meeting that would not go on hold from above. — Finish lodging reservations for Scotland. — Arrange camera rental for Scotland. — Presents: mail wrapped b-day gifts for C, W, and R… and just cuz present for W. Figure out birthday present and send to B. Order/ship wedding present. Belated b-day for brother and anniversary for brother and sis-in-law, too. — Prepare two 2-hour classes with lecture and discussion… bonus points for being alive to deliver them. — Freak out over all the things I’m forgetting. — Since last weekend’s writing retreat, which took place in an out-of-town colleague’s apartment, I’ve been able to fall into a much more productive writing schedule. — My dissertation is fleshed out into 10 Chapters. All currently have written sections… none of which are finished. I’m guessing 1/3-1/2 of it is written… and of that, the majority ranges from “okay” to “crap.” Somehow it all makes sense in my head but makes no sense on paper. Hmmmmm. — I know what each needs to say and getting them to that point really scares me. — How come I’m freaked out by my own visions for The Thing? I thought I’d feel better at this point in the game. — We’re spending the first week of August in Scotland. One my best friends from college is getting married in Ayr… in a castle… on a cliff… by the sea. We’re going in a few days early to check out the Western Island(s) and Highland area before the wedding. — When we get back from Scotland, we’re going to the beach with the kids. Paul will be working then, but we’re hoping to manage it all to get in some quality family time before the school year starts. — My committee chair is back in town in a little over a week. We’re meeting on the 30th. YIKES. — Work is still overwhelming, but I had a few learning moments and realized that I needed to let go a bit until the dissertation draft was done. Seeking….? Advice on Scotland. And the post-Scotland beach. (Did I mention we’re flying direct in and out of ORLANDO?) Ideas on balancing. And strategies for sustained writing inspiration. 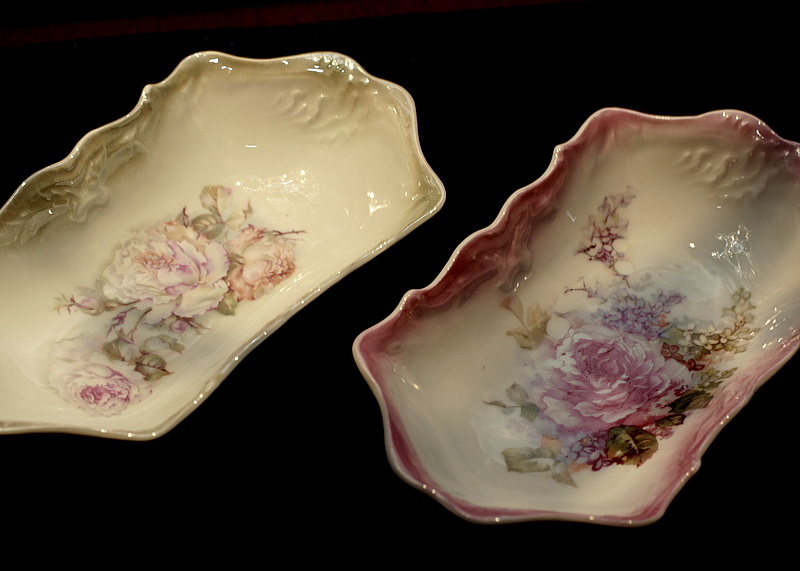 Last Minute Mother’s Day Idea? 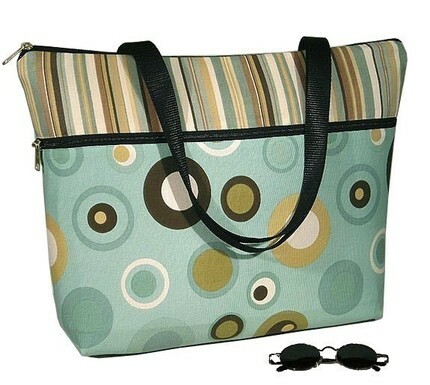 All of Janine King’s MOD DOTS bags are on sale. I’ve had a J.K. computer bag for several years and love it. I’ve also given her purses as gifts. Everything is wonderfully made — and to order! She personally confirms all sizing for computers. HIGHLY recommended. Stuff to store, stuff to treasure? My family’s brand of crazy is less of the run-around-the-house screaming variety and more of the subtle wear-you-down-until-you-snap variety. Like most families, we take turns in the crazy seat. We find it spreads the love around a bit more that way. My Dad has been in and out of work for a few months now and after a few experiments finally decided to do what everyone has been smartly telling him to do for years: start his own company. A few days before Christmas, he did this. Now he is in the game of stop and go as details like insurance, office space, and equipment all get sorted out. There is no lease on office space quite yet, which means my Dad is spending a considerable amount of time at home… in the crazy seat. This is figurative, of course, because my Dad is a machine. The man cannot sit still for a moment. You know how Kate was so active during her first year that her weight dropped dramatically and we had a hundred tests and sleepless nights and worried, worried, worried… until finally no one could find anything wrong and was left us with the conclusion that she was burning several hundred calories a day simply because she was So Unbelievably Active? Well, turns out Kate did get it from somewhere. So in his attempts to ready my Mom for her turn on the crazy seat, Dad decided to empty the attic. This is a HUGE endeavor. The attic is actually includes normal attic space in the eves of their house, plus an entire room they left unfinished so they’d have more attic space. Our entire house could fit in there, with room for the outbuilding. Not that we are being critical: Paul and I have used this to considerable advantage. We storage much of his pinball manuals and equipment there, as well as several boxes of non-essential ‘stuff’ that came from Michigan that we’ve never retrieved (things like high school yearbooks, old framed posters, and bins of artwork I did in elementary school). There are also several dozen boxes of things from my Grandma Betty and Grandma Alice (my Mom and Dad’s mothers, respectively). Dad decided he was ready to purge. The boxes were waiting for us when we arrived on Friday afternoon. Our stuff is one thing. That is easier to identify both practically and emotionally. 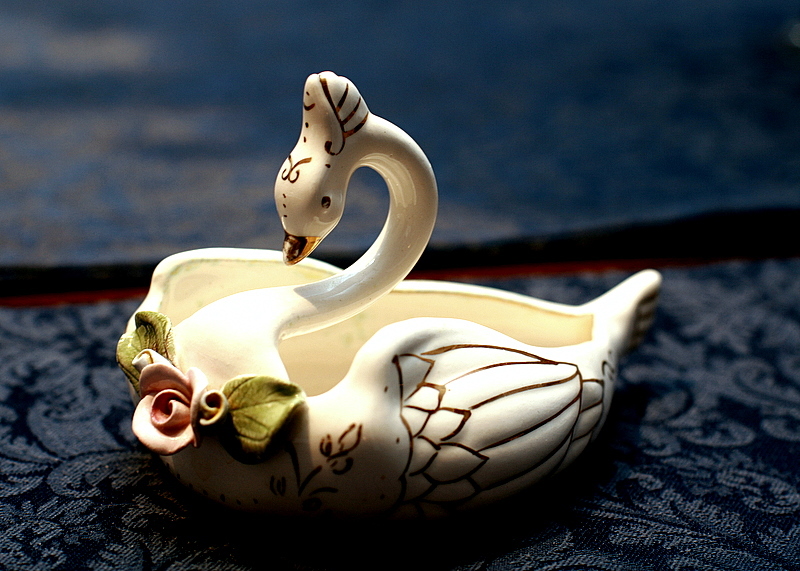 But the things from my Grandmothers, I’m struggling to place. Am I okay with letting these go, these little ties to forgotten memories? Plus, so much of it is just unique and kitschy and cute. And some of it involves birds and/or swans, on which I have an addiction that runs so deep I’d trade you my last bar of dark chocolate for a one-of-a-kind tchotsky with little other purpose over dust collection. See this little teacup? 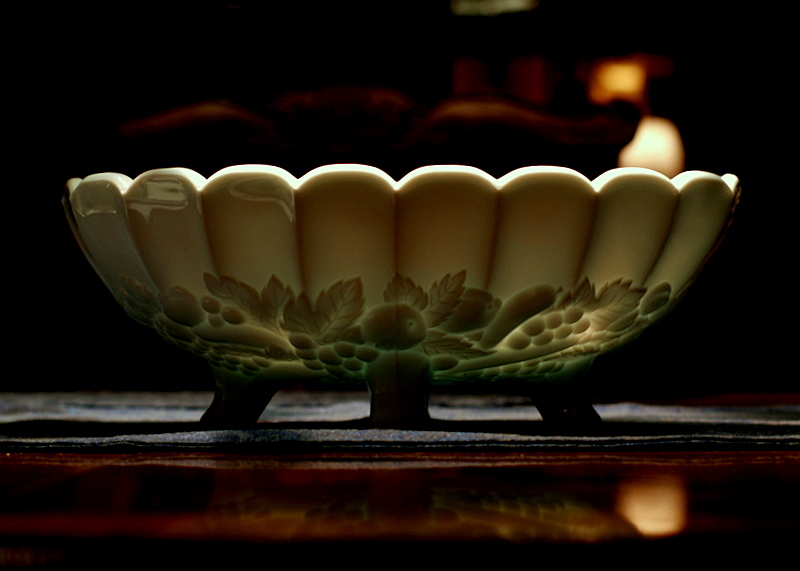 It was my great-grandmother’s and now it’s all alone. 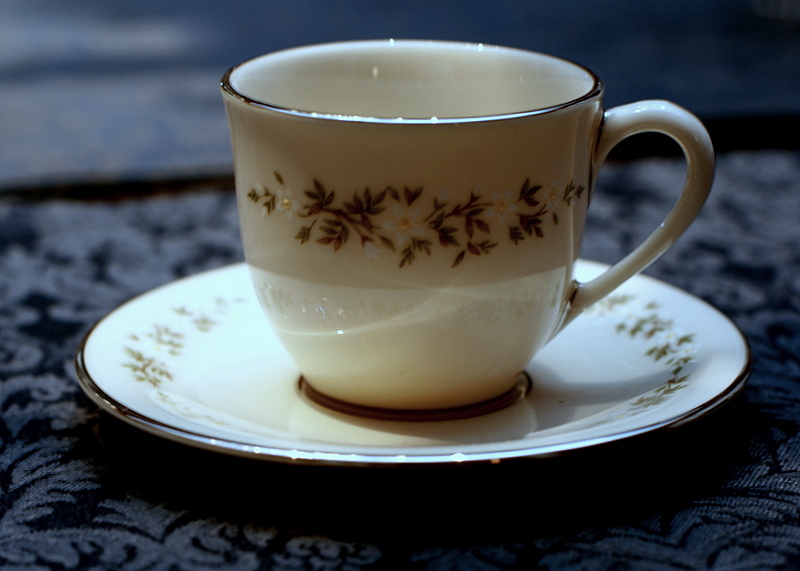 Just one tiny cup and saucer. It’s too small for two lumps and would have a tough time taking cream. Perfect, really, for the dainty shot of gin. Isn’t that what tea parties are about these days, anyway? 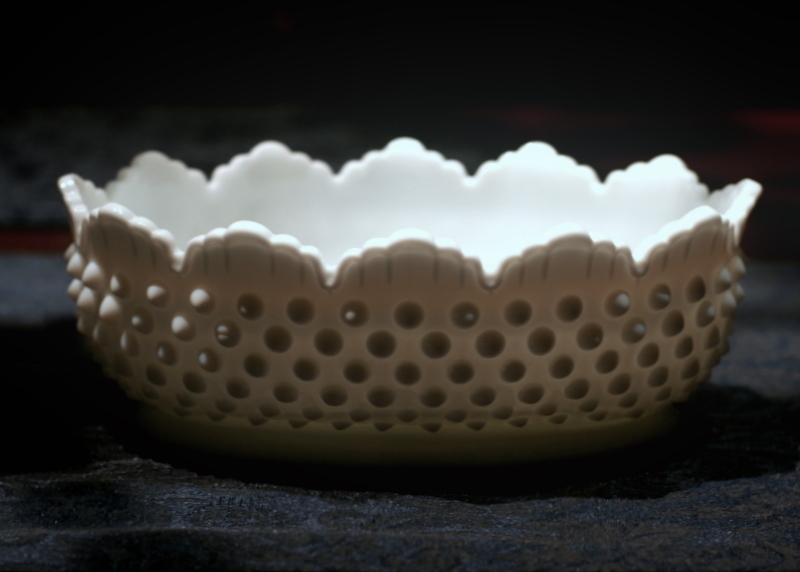 Did you know milk glass GLOWS? Sure, it’s glowing on the bottom, but how cool! My Mom told me that Grandma used this on the kitchen table as a place to put receipts and keys. In other words, if I took it home and Kate used it to mix plaster of paris, I wouldn’t be completely disowned. Little touches of my Grandmas. Definitely worth finding a place for at home… and then packing up and evacuating with once a year. Right?